It’s been very quiet around these parts of late. The short answer is real life has taken over and rightly so. This past month has certainly been a rollercoaster. There were happy days such as my son turning seven. And what seven-year-old does a birthday any more? He had a full on birth-weekend. And of course we had our first family ski trip. Heading off only hours after polishing off my son’s birthday cake. Nine nights of family fun over Easter. It was amazing. There will be more on that coming soon too. 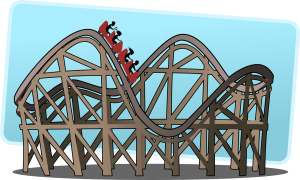 Unfortunately the rollercoaster, having reached its peak on the slopes of France, started heading rapidly down the tracks on our return. There were the usual reality checks like back to school and mountains of washing but then there were bigger deals such as my baby girl ending up with three stitches in her head after a fall and the biggest low of all as my beautiful darling mother was rushed to hospital. We faced losing her last weekend. Given my mother is probably the strongest, bravest person I know she has battled hard and seems to be pulling through this and with any luck the rollercoaster will start climbing again and we will continue to take whatever life throws at us. Good times and bad, you’ve just got to take the rough with the smooth. No doubt I’ll be back blogging regularly very soon so stay tuned. In the meantime, here’s a bit of Ronan Keating. 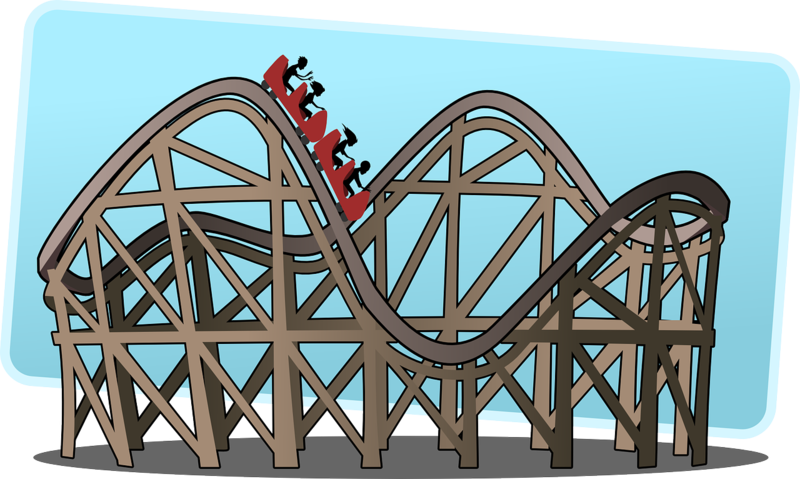 Life certainly is a rollercoaster. Pancake Tuesday: How did you eat yours?